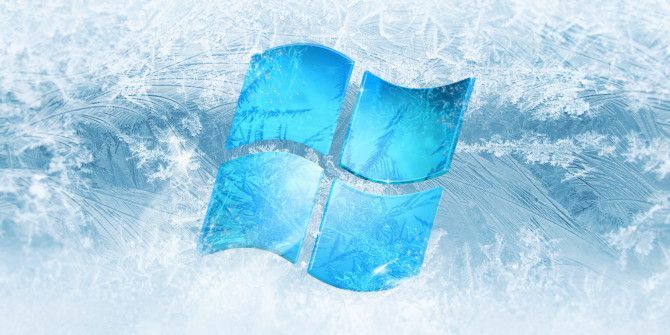 If you’ve ever wanted to maintain a system state to keep it secure and not allow any changes, then you might want to try deep freezing your Windows computer. Unlike a factory reset 4 Ways to Factory Reset Your Windows Computer 4 Ways to Factory Reset Your Windows Computer Want to know how to factory reset a computer? We show you the best methods to reset a Windows computer using Windows 10, 8, or 7. Read More , which wipes everything back to the manufacturer’s default, a deep freeze allows you to create a specific system state that you want your computer to restore back to. Windows 8 has built-in utilities to restore and refresh your system How To Restore, Refresh, or Reset Your Windows 8 Installation How To Restore, Refresh, or Reset Your Windows 8 Installation In addition to the standard System Restore feature, Windows 8 has features for "refreshing" and "resetting" your PC. 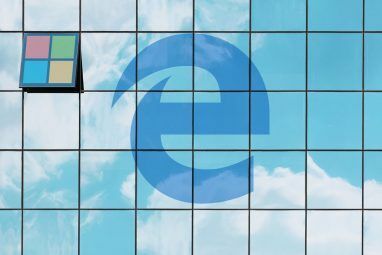 Think of these as ways of quickly re-installing Windows -- either keeping your personal files or deleting... Read More , but this is a bit different. There are paid and free applications to help you accomplish this, so we’re going to look at both and see what’s available on the market. Deep Freeze is an application that resets the system state every time you reboot your computer. This means that any change to the system, like installing a program or adjusting a setting, will be forgotten when the system starts up again. Deep Freeze is developed by Faronics and is available on modern versions of Windows. It’s suitable for a single computer workstation or an entire server. While Deep Freeze is a very useful tool, the downside is that it’s commercial. There’s nothing inherently wrong with paying for software 14 Free & Open Source Alternatives For Paid Software 14 Free & Open Source Alternatives For Paid Software Don't waste money on software for personal use! Not only do free alternatives exist, they most likely offer all the features you need and may be easier and safer to use. Read More , but there are a number of free alternatives out there that might suit you better. Download: Deep Freeze (30-day free trial) or purchase full edition (price on request). Have you ever used a public computer? Those found in hotels or libraries will probably use some sort of system restoring software. This is because these systems are set up to run in a very specific way. Users may accidentally download malware, attempt to install a program or alter the visual style of the computer How To Customize Windows 8 Desktop With Wallpapers, Windows Themes & More How To Customize Windows 8 Desktop With Wallpapers, Windows Themes & More Not happy with the Windows 8 look? It only takes 5 minutes to fix that! We show you how to change the desktop wallpaper, add themes, resurrect the start menu, and more. Read More – to keep tabs on this across all systems and then fix any changes is far too time consuming. Not only does it come in handy for businesses, but deep freezing a system can be beneficial to you as an individual, too. Have you ever set up a computer for a friend or relative only to return at a later date to find it riddled with junk? Or perhaps they’ve changed a setting somewhere and they don’t know how to get it back to normal? Save yourself the hassle of fulfilling the tech support role and instead let their computer dismiss any changes when they reboot. 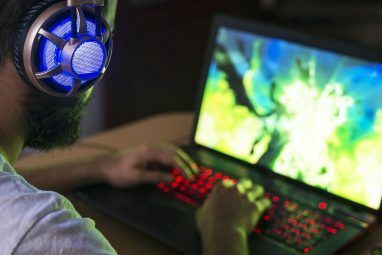 Additionally, be sure to read our guide on how to make their computer harder to break 7 Ways to Ensure Your Loved Ones' PC Will Never Need Fixing 7 Ways to Ensure Your Loved Ones' PC Will Never Need Fixing Are you tech support for your family or friends? Do you receive frantic calls because they've installed malware or somehow managed to break their computer and they need you to fix it? This can be... Read More . What Are The Free Alternatives? If this sounds like something you might benefit from then we’ve rounded up a list of free software that will deep freeze your system. Be sure to post a comment below if you’ve used any of these before or have your own suggestion to add. Steadier State is a program developed specifically for Windows 7. The name comes from Windows SteadyState, a free deep freezing utility that Microsoft provided for XP and Vista, which was discontinued and is no longer compatible with new operating systems. A good thing about this program is that every time the system reboots, you can choose whether to roll back to the original state or keep the changes. It’s a simple little utility, but if you’re running Windows 7 off a few single machines, then it’ll do the job well. While Reboot Restore Rx does have a paid alternative (Drive Vaccine) that offers additional features, like scheduled restoring, remote managed and critical update automation, the free version does the job just fine for basic use. The program supports Windows 2000 to Windows 8.1, both 32-bit and 64-bit, and is still being updated to this day. It’s a bit different to some other programs because it uses its own mini operating system that functions at the sector level of the hard drive, ensuring the master boot records’ integrity is kept. One of the great things about ToolWiz Time Freeze is its simplicity. All you need to do is tick a single box and the program will work its magic. You can also start the program while the system is running or alternatively enable it to automatically run on each boot. You can add a password protection to your time freeze to make it harder for someone to disable the protection. ToolWiz Time Freeze is available on everything from Windows XP and above. It even claims to work on Windows 10, which is still in beta! Whether you just want to protect your own computer or a whole bank of them, deep freezing a system can come in very useful. No longer do you have to worry about anything troubling your system again – simply restart and the changes are gone! You don’t even have to use these programs permanently. For example, there might be times where you let someone play around on your system and you could enable one of these utilities prior to the fact in order to maintain your preferred state. There’s loads of uses for a deep freeze and luckily an arsenal of free programs to help you out! Do you make use of any deep freeze software? If so, how does it come in useful for you? Do you have any other freeware to add to our list? Explore more about: Computer Maintenance, Windows 10, Windows 7, Windows 8, Windows 8.1, Windows Vista, Windows XP. I've setup Deep Freeze, Drive Vaccine, Rollback for several customers of mine including businesses/schools/ libraries in our area. Reboot Restore Rx & Drive Vaccine work well for smaller setups like libraries, but I've seen a lot of conflicts with other software in larger environments. Most of my customers have returned back to Deep Freeze within a year. I would say Deep Freeze is a much more solid product. Their cloud offering is awesome too, but I wish it wasn't subscription based. Just a heads up. Used ToolWiz on 4 Windows 10 Home machines and after a day or two of flawless behavior, to a computer Startup Repair kicked in and nothing could recover them. Full reinstall necessary. Ugh, lesson learned. Let’s not mix things up here. Both rollback rx and reboot restore serve very different functions. Not to trash rollback rx home, I’ve actually heard good things about the freeware, but saying it is an alternative to deep freeze is simply untrue. Deep freeze’s main function, which is to restore on reboot, is not automatically found on rollback. Reboot restore rx does do this for example, which is why it is considered it an alternative to deep freeze (the best free one out there imo). True. Rollback could be much better though. Its buggy at times. Please BEWARE ! I installed Toolwhiz Time Freeze and put a "block" on the /user folder. The next time time I rebooted, Windows tried to go into recovery mode and gave me several options. In choosing each one, I was informed that I had no admin account on the computer. I have yet to recover Windows - I am a 30 year veteren in the computer industry and can generally fix almost anything on a PC. I'm lucky that I can get to all my data via backups and my Ubuntu installation. I'm wondering if the problem may have in part been caused by the dual boot that I have set up. Very strange! I've never heard of anything like that, but thanks for the heads up, Rufus - always good to be aware of potential issues. I like reboot restore rx, mainly because it is able to boot every time - even when Windows is corrupted. In the past, I was having an issue with a loophole in this program in where just about anyone could turn off protection, but now that's been fixed. First thing upfront - I work at Horizon DataSys, the developer of Reboot Restore Rx. Thanks for the mention! If anyone has given it a shot and has some questions about it, or Drive Vaccine for that matter, just let me know. I can be reached at samuel(at)horizondatasys.com. Always happy to chat. I forgot the best part! Macrium Reflect have a backup feature that backups only what is needed (leaves out superfetch, windows cache I think etc) so the backup image is smaller than your actual setup! Thanks for sharing your method, Chris! Glad to hear the imaging method works well for you. Just had terrible trouble getting rid (uninstalling) TOOLWIZ products. Never heard of Steadier State. Gonna give it a shot. Have you had a chance to try it out? What'd you reckon? I've been using it for ages! Perfect! Deep Freeze works well with SSDs. Not sure about the others. Using these 'restore' programs means each time you do a legitimate update you must create a fresh 'return' point or loose the update? In fact any legitimate program change will be lost. Still, I suppose that's the 'price' you pay - never forget to update your 'return' point or lose it. Sorry $20 was for on different writing. Steadier State requires: Windows 7 Enterprise® / Windows 7 Ultimate® and machine use of one (1) physical hard drive. How is this going to help ANY OF your readers? 1 hard drive? enterprise? ultimate? I would guess most of us have win7 pro, or win7 home! Your info is get more and more useless, Trying to sale that help starting with $20! You're right and I apologize that we missed this detail. Our general rule of thumb is that we test the software we cover. In this case we slipped up. I too use Returnil in certain situations. It has not been actively developed since 2011, IIRC. (the company is still around but have a different approach now) I also remember a Returnil employee telling me that (just like with Sandboxie) there were cases of some of the newer malware being written that could tell when it was in sandboxed or system-like state and would not rear it's head, leading one to believe that whatever you were trying out was germ free. Maybe that's why some coupon websites insist I install their software to print the coupons on their website,but it will not install because I always run my browser sandboxed? If that was the case,maybe one of the free restore on reboot programs would be useful to me,as I could install and print their coupons unsandboxed,and then wipe out the software on the next reboot? Don't forget Returnil System Safe FREE. A have used it to protect public computers in the past. And for some products (I didn't try Faronics) it turns out to be "inertia selling": in order to get the free trial you hand over payment details and when the trial expires, payment is taken unless you've explicitly cancelled. Maybe download, install, configure are all dead easy, the product great and the cost small but I don't know that - by starting the process I'm signing a blank cheque for my time. I don't do that any more. "Get a quote" equals expensive in my book - they don't want to scare you off by telling you the price before they've sold you on the main features. It's not really hidden, but takes a few logical clicks to get to the price. If you click on Products>Deep Freeze Standard>Order Now (on the right)>Buy Online, it takes you to your cart with a price of $45 (Deep Freeze Standard for Windows with 1 year Maintenance Package). Sure, it would be nice to have a "pricing page" but the price is available prior to downloading. Some of the testing machines I deal with have multiboot configurations, which makes tools like SteadierState unworkable. 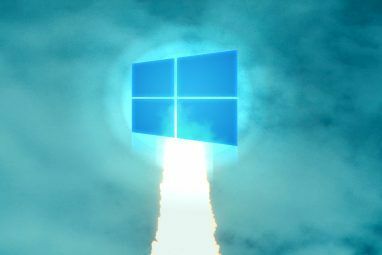 Newer Windows versions can boot from a VHD and there are tools for making snapshots and reverting changes, but in practice I've found that to be even more of a hassle. I've experimented with that, but I keep coming back to disk imaging tools as the best overall solution. My users just have a boot option that starts enough Linux to dd in a script and overwrite the Windows partitions. Since my lab machines all use SSDs anyway, it only takes about five minutes to revert everything, or perhaps 90 seconds for any single Windows installation.